The bees are floating, here in Britain. They’re high on life. This summer has been benign until now, with mediterranean sunshine and the occasional heavy shower; and every pollen-producing flower is one big party. Lavender bush in your garden? Go and take a look. It’s like a bee opium den. Bees hanging out on gorgeous blousy overblown blooms, high as kites. I was trundling across the top of the iron age fort when I found one such bee. It demanded you stop and look because it was hugging a luscious purple thistle like a wino hugs a bottle of whisky. It was enamoured of it. It was taking long, lazy drafts and I surmise that if I had tried to take that flower of that bee at that moment it would have taken a large crowbar. I have been taking a lot of pictures of bees lately because right now they gaze in a spaced-out manner at the lens and say “cheese”. And it has come to my attention, finally, after half a lifetime on this planet, that there are more kinds of bees in heaven and earth than I had previously dreamt of. 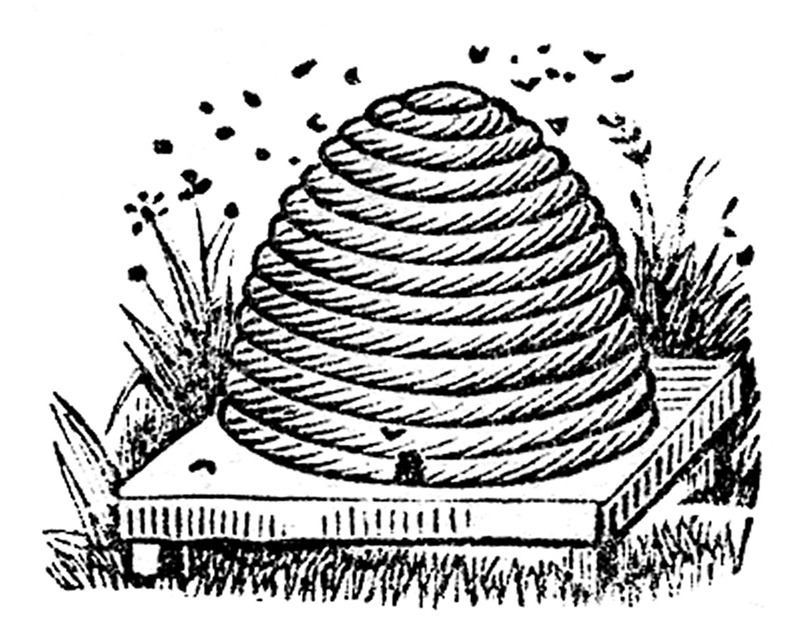 The International Honeybee Collective would like it known that only honeybees do this, and a large number of bees are not honeybees. The whole ‘bees co-operate together’ thing is a little askew, too, following pro-honeybee propaganda by Dreamworks: honeybees do, it’s true, and they live in great sociable hives which have been cultivated by man since Egyptian times. But the rest have small comfy hobbit-like holes in the ground and prefer a solitary life. So before you pause in your walk to marvel at Nature’s professional pollinators, perhaps it is only courteous to be well-informed as to precisely which bee you are gawping at. Of course, you have to get it to show its bottom. I issue this warning because I neglected to get the bee on the thistle to show its backside. It’s not the first thing which occurs to you when you’re nature-gazing, marvelling at the complexity of mother earth and her inhabitants. But the best bee identifier on the web starts with the bee’s bottom, and if you can’t see it, you’re sunk. And was there a bee bottom in sight? There was not. And now I am a bee-geek. A bombus-spotter. I cannot see a bee without peering impertinently at its bottom and scurying off to identify it. I am bee-P-C: a politically correct bee appreciator. And there has never been a better Summer for it. Posted in WhimsyTagged bumble bee, honey bee, nature, pollen, pollinators, SummerBookmark the permalink. 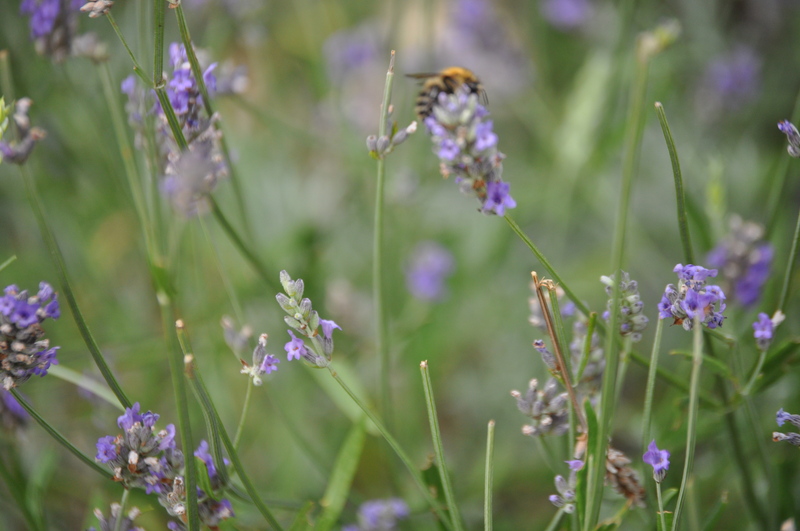 Bees at so much risk, it is a treat to see them heathy and busy pollenating. Long live the bees, hives or solitary ones! If honeybees make honey, what do bumblebees make? I don’t think that I have ever seen so many bees or butterflies as I have this year – it is heartening. At the moment I am having a medieval bee skep handmade for an alcove in our drystone wall – it is for solitary bees. I only learnt this year that there were so many different bees in the UK – around 250 species. 24 species of bumblebee, 225 species of solitary bee, and just the single honeybee species. Oooh, like this, Rosemary? http://thegraphicsfairy.com/wp-content/uploads/2013/01/BeeHiveVintageGraphicsFairy31.jpg? I have to admite that of all the bee trivia I ahve learned, it is the fact that honeybees are only one species amongst many here that really floored me. spot on Kate – I managed to find a farmer locally who makes them. You can imagine the excitement you’ve generated over here, Kate, with your bee spotting activity, Actually, I just waddled in (still in my PJ’s, but, shhh, don’t tell anyone) from taking a few shots of some bombus on the coneflowers and Susans for bee-spotting endeavors in Illinois. I love this post, and the awareness it brings for bees, especially the bumblers, and your explanation of bees’ bottoms is the bees’ knees. Glad you, of all people, enjoyed it, Penny. You have been an ambassador of the bombus for a good while now 🙂 Can’t wait to hear what species you have on your coneflowers! It is. I spoted three species in one dog walk this morning, IE! I honestly didn’t know about the many types of bees and it never occured to me that they even had bums, never mind trying to examine one. Great post, Kate. What will you share next? Hovering Hornets? Wasp Wings? Tuxedo clad Yellow Jackets? The skies the limit, eh? i only recently started realizing how many different bees there are myself, Kate! My slow realization came because of bloggers with their beautiful photos of bees, which I then realized didn’t look like the bees in my own backyard. I have since realized that many of “my” bees are cactus bees! Now your bumblebee is such a beauty, as is your photo! Ooooh, I have never seen a cactus bee , Debra! Got any snaps? Maybe someone should set up an American bee identifier, Steven! Good on you for seeing all those bees, Kate! I think I’ve seen one – and that was in the living room. I helped it to the freedom of the outside world, but didn’t even think to photograph it… or look at its bottom, come to think of it! I ‘m sure there must be fairy tales about what happens when you help out a bee in peril, Tom. Well done for that! last year, while walking through the woods with a friend’s German Shepherd. She became fascinated with something on the forest floor. I wandered over and it was a very large bee. I, being a fool when it comes to bee knowledge, first rescued the bee from the dog – that part was okay – then worried where to put the bee for safety. Was there a bush nearby? a low hanging leaf on a tree? I actually can’t remember where I left the beauty but when I got home and searched to discover the type of bee it was, it was one that lives in the ground! I’m sure it was rolling it’s eyes at me the whole time! It is only when you really start to think that you realise there must be so many species, Joss…what a lovely bee rescue attempt, though! Dear Kate, I remember a saying or a song–I’m not sure which–from the early part of the twentieth century–maybe the 1920s or ’30s. The saying was “the bee’s knees.” I wonder what that means. Any idea, oh great wise PC beester. Peace. Lovely photos, Kate. 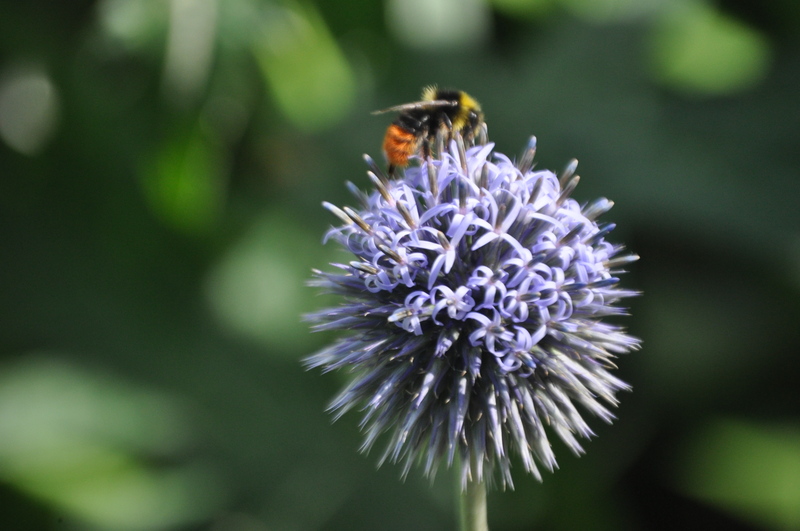 I was fortunate to get a few of these bumble bees when we were in Giverny. Thank heavens for them, for pollinating the flowers, and making it possible for more flowers to bloom and grow. Hi Gina, that’s fine, no problem. Hello Kate. I just wanted to let you know that your piece, “Bumbling matters . . .” is available to listen to on the “Silk and Honey” episode of the Ear Candy radio show on whidbeyair.org. Just go to “podcasts”, click “Ear Candy” and find the show if you’re interested. Thanks again Kate! I had a listener who’s son now has a new interest and appreciation for bees and their bums! That’s wonderful,Gina 🙂 Thanks for letting me know !